MINNEAPOLIS – April 17, 2014 – Cargill senior leaders Sarena Lin and Chris Roberts were recently recognized by U.S.-based media outlets for their influential leadership roles and approaches to Cargill’s business. Sarena Lin, corporate vice president of Strategy and Business Development for Cargill, was selected among 10 of Minnesota’s top corporate women by Twin Cities Business. The annual listing honored female leaders for their leadership approaches and paths to success. Lin, who is in charge of strategy, and mergers and acquisitions for Cargill, devises corporate strategies for Cargill’s core business units to achieve maximum profit. “This company absolutely values business ethics and integrity, and its employees, and allows us to do our best work,” Lin said. She also serves on a number of boards in the Twin Cities. Lin joined Cargill in 2011 after 13 years at McKinsey and Company, serving in managing partner and principal roles in Taiwan and New York. Lin has extensive experience in business strategy, mergers and acquisitions, supply chain and strategic sourcing. Earlier in her career, she also held sales and marketing roles with Proctor & Gamble and Xerox Corporation. She received her undergraduate degree from Harvard, a master of arts degree in international relations from Yale and a master of business administration from the Yale School of Management. Chris Roberts is president of Cargill Kitchen Solutions, a Cargill business that specializes in providing breakfast products to customers in the foodservice and consumer products industries. He was included on the Savoy Top 100, a list of African American achievers, influencers and executives facilitating global change through their leadership. In 2014, the Savoy Top 100 has more black CEOs and presidents at major corporations than ever in its 11-year history. Roberts joined Cargill and was named vice president for Corn Sweeteners in North America in 2006. Roberts added oversight of the Dry Corn Ingredients and Sugar Businesses to his responsibilities and served as food segment leader for Corn Milling in North America beginning in 2009. 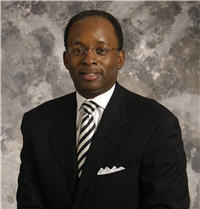 In 2011, Roberts was appointed president of Cargill Kitchen Solutions. Prior to Cargill, Roberts held various sales, marketing and general management positions with the Coca-Cola Company and Pepsico. He graduated from the University of Illinois with a bachelor of arts in economics and received his masters of management from the Kellogg School of Management at Northwestern University. 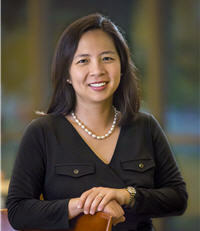 View Lin’s profile in the Leadership section of Twin Cities Business at http://tcbmag.com/Leadership/Leaders/10-Top-Corporate-Women-In-Minnesota. Roberts is featured on the Savoy Network’s Top 100 list at http://savoynetwork.com/top100.